The <caption> element specifies the title of a table. Yet it is always the first child of a <table> tag. The <caption> tag must be included instantly after the <table> tag. The <caption> tag supports Global Attributes and Event Attributes. <align> is removed in HTML 5. <caption>tag - is used for description of the table. 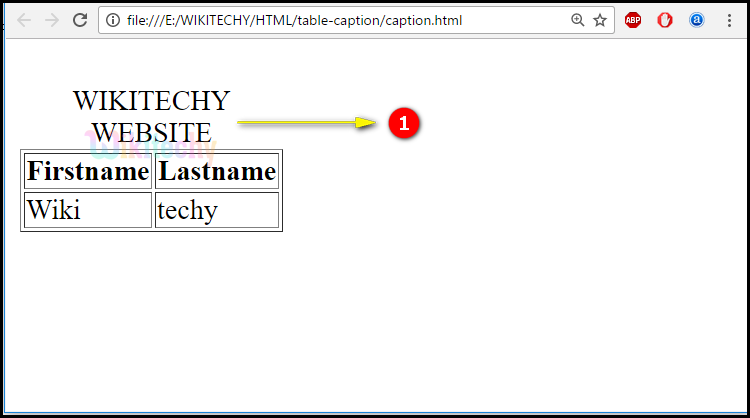 WIKITECHY WEBSITE is declared as the title of the table. 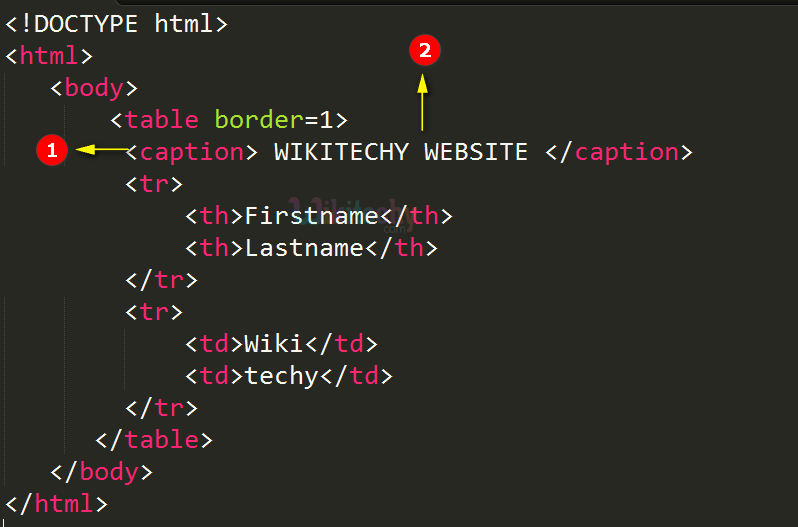 Here the term WIKITECHY WEBSITE is displayed with table caption. bottom Yes No Specifies the alignment of the Caption. Only one <caption> tag per table. The table caption has been placed over the table and it has center alignment.